Amy is excited about this big show with Steve Scott and how queer theater has changed with the works of Terrence McNally. Guest: Producer/Director Steve Scott joins Amy on the Queercast. 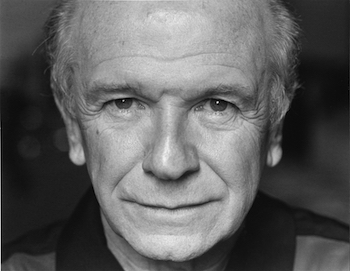 Steve explores openly gay playwright Terrence McNally this season with Eclipse Theater Company. Steve gives us a history of Terrence McNally and the plays of his they will be producing this season, starting with Lips Together, Teeth Apart which will run until May 24th at The Athenaeum Theater. For tickets and more information visit www.eclipsetheater.com. Music Featured on This Queercast: Oscar - "Daffodil Days" and Beth Hart - "Mechanical Heart"